In the unlikelihood that the Court reviews the case, after the fiasco and unconstitutional way they handled the healthcare bill, who in their right mind thinks for a second that they will follow the constitution, instead of re-write it on this issue? -W.E. Of the dozens of lawsuits questioning the constitutional eligibility of Barack Hussein Obama to be President of the United States, one has finally reached the docket of the Supreme Court. Should the Court accept the case for review, it will be the first upon which the justices will issue a substantive ruling—one based on the merits. On February 3rd, Georgia Administrative Court Judge Michael Malihi ruled that Barack Obama is eligible to appear on the Georgia ballot. It was a case during which Malihi received not one scrap of evidence from Obama or his attorney. Subpoenas from plaintiffs were ignored; Obama’s clear burden of proof was NOT imposed. Plaintiff’s motions for contempt were neither acted upon nor forwarded to higher courts; and U.S. Supreme Court precedent took a back seat to the rambling, non-substantive pronouncement of dicta from an Indiana justice. Yet in his 10 page ruling, Malihi had the monumental gall to claim “This decision is entirely based on the law, as well as the evidence and legal arguments presented at the hearing.” Malihi’s ruling was then rubber stamped through the Georgia Superior Court and eventually denied review by the state’s Supreme Court as both refused to apply basic principles of jurisprudence to the legally indefensible tripe offered by the Administrative Court judge. But on June 28th, the Petition for Writ of Certiorari in Plaintiffs David Weldon, Carl Swensson and Kevin Richard Powell v Barack Obama was filed with the Supreme Court. These are the plaintiffs whose case had been argued before Judge Malihi by attorneys Van Irion and Mark Hatfield. It is an important event because all other eligibility cases appealed to the Supreme Court had been dismissed in lower courts exclusively on procedural grounds, the plaintiff’s lack of standing being the most common. Such procedural decisions relieve judges from the potentially career-ending task of issuing an honest and legally supportable ruling dismissing Barack Obama from his job and opening him to charges of fraud. And cases dismissed on procedural grounds are almost NEVER taken up by the Supreme Court. The Weldon v Obama case will pose 2 vitally important questions to the Court. First of all, “…whether states can be forced to accept any candidate from a political party for presentation on state ballots even when the candidates do not meet the required qualifications.” Attorneys for Obama have argued that it is up to the particular political party to decide who their presidential nominee will be and that it is not necessary that the party obey state laws that demand the nominee be qualified to hold that office. And most importantly, the Supreme Court could decide whether the “natural born citizen” definition written by the Supreme Court in the 1875 case of Minor v Happersett will at last be awarded the precedential status ignored by so many cowardly and corrupt judges in response to the matter of Obama’s eligibility. 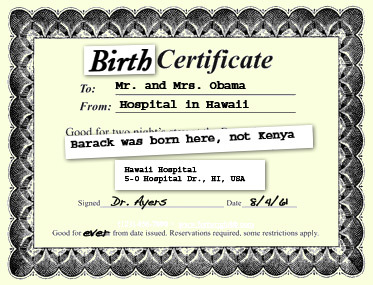 The American public should know by early fall whether the Supreme Court is willing to rule on the question of Barack Obama’s eligibility for the White House by addressing the constitutional importance and definition of natural born citizen. In short, by its decision to hear or ignore the case, we will know whether the Court truly represents little more than the small but powerful cabal of Washington DC’s political ruling class made so evident by the ObamaCare ruling.